Designed for DIGITAL, 35mm, & medium format cameras. 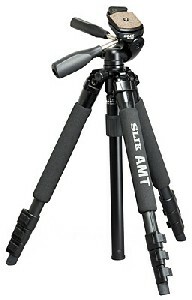 Constructed from Aluminum-Magnesium-Titanium-Alloy ,this tiny tripod measures just 70cm when closed up, which is small enough to be transported very easily in the field. It also features a centre column that can be reversed so a camera can be positioned just inches from the ground.